NAMM 2019: 4 New Kurzweil Products That’ll Drive You Kurz-Wild! 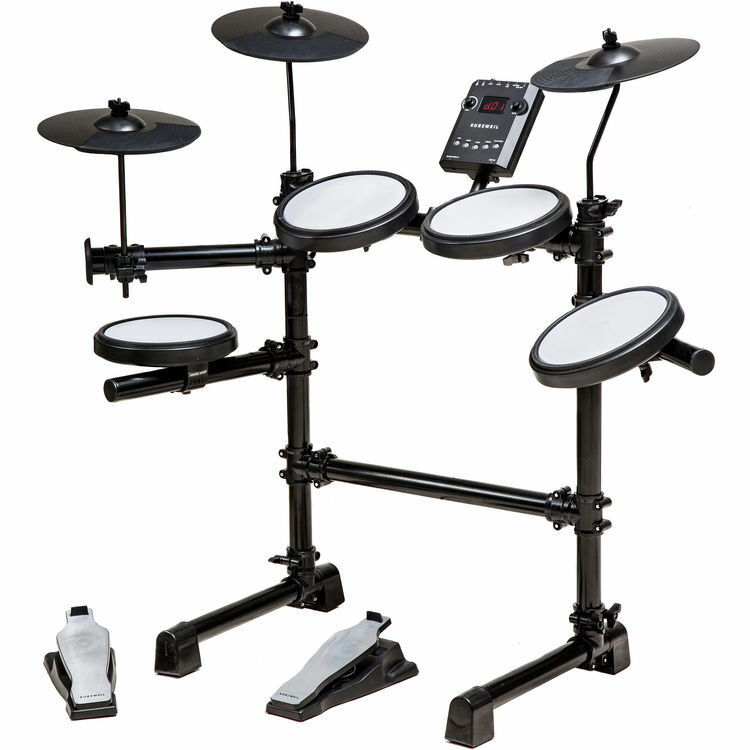 To start, let's look at the KD1S, a nine-piece electronic drum set with 31 factory-installed drum kits, as well as 12 metronome patterns for practicing your paradiddles, and 44 songs to keep you company on your solo jam sessions. Want to play along with your favorite music? That's possible, thanks to an input for your favorite MP3 player. 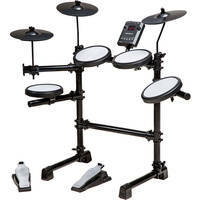 The set includes a snare pad, three pads for toms, a crash pad, a ride pad, and a hi-hat with pedal. A kick pedal is also included. Output the drum set through speakers with the left/right 1/4" outputs, or hook your favorite headphones to the brain and hit the pads in (relative) silence. For all you portable multi-instrumentalists out there, check out the KST300A, a portable, rechargeable, combo-style amplifier with a built-in four-channel mixer. 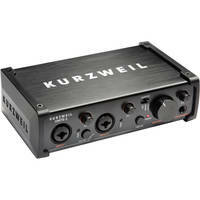 It gives you two microphone inputs and two instrument inputs with controls over volume, bass, and treble. Plug your guitar into the instrument input, and then use the included wireless lavalier mic to sing in public without a mic stand! A wireless handheld mic is also included, so you can accompany your favorite singer without tripping them up—with needless wires, that is! Three speakers are on hand, delivering 24W of Class D power. With a built-in music player, you can play songs from USB, media cards, or auxiliary ports. Looking for a simple 2-in/2-out interface that won't break the bank? Check out the UNiTE-2, a USB 2.0 bus-powered interface with combination XLR-1/4" inputs. One of them can be used with guitars and basses. This interface can capture audio at sample rates and resolutions of up to 96 kHz / 24-bit. Here's something interesting about this interface: it comes with Bitwig Studio 8, which is one of the most unconventional—dare we say—creative DAWs out there. 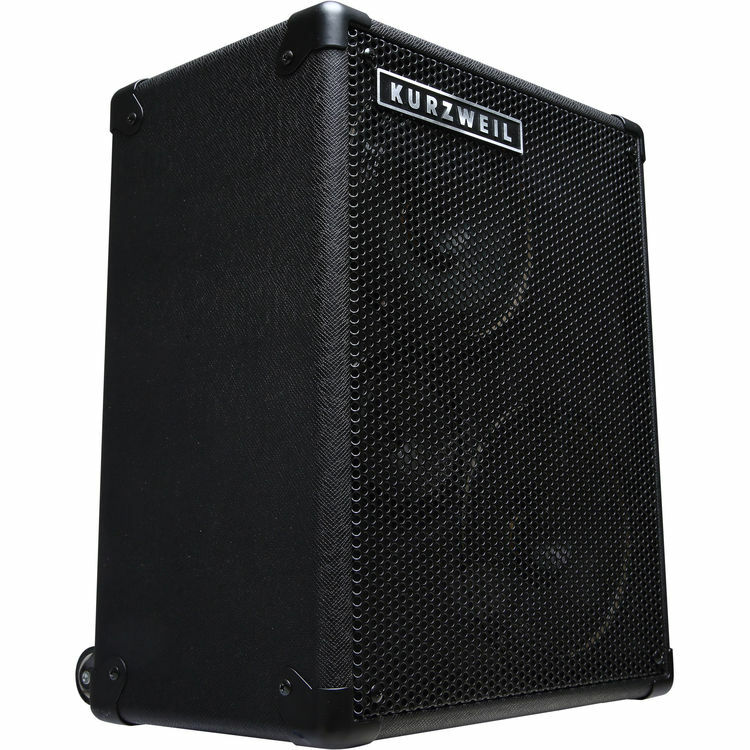 Now, if you're going to buy an interface, you'd probably want some studio monitors, as well, and there again Kurzweil has you covered with the KS-50A, a pair of active 2-way studio monitors with 5" woofers and 1" silk-dome tweeters. These monitors sport rear-panel bass ports to help foster a bass response down to 50 kHz. Combination connectors accommodate balanced XLR and unbalanced 1/4" inputs. So, if any of this seems appealing to you, come visit us at the SuperStore, or catch us online.